Volos newspaper Taxydromos reports that a “World Congress” on the plum will happen in Skopelos 19-23 August with the participation of many distinguished scientists. According to the newspaper, already representatives from 80 universities have signed on to send delegates to the conference. Some expect that 500 people could participate in the affair, which is being organized by the Municipality of Skopelos, the University of Warsaw, and the TEI (Technical Education Institute Τεχνολογικά Εκπαιδευτικά Ιδρύματα) Volos. 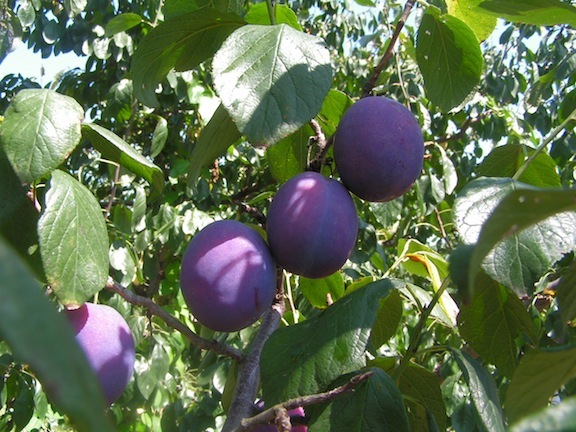 Local hope is that together with a boost in tourism, the meeting will be a step towards the making the plum(s) a “protected product of designated origin”. Skopelitan farmer Thanasis Gripiotis and others believe that the designation will help give locally produced plums an enhanced position in European and world marketplaces. That’s really good news, but 19-23 August, absolutely the busiest week of the year! Couldn’t they come May, June or September. That would really boost tourism. …and the hosts will be trying to get good deals on hotels for the attendees. Not sure if that’s going to go over well during the highest of the high season. That was a genuine enquiry, mike, not sarcasm. What’s the story of the Skopelos plum export industry? Little point in plum experts showing up when plums are not in season, such as in May. Certainly my plums are big and juicy in the heat of August. Do they have to be ripe to be discussed ? If they only want to talk about plums they might as well book in to a Travel Lodge near Warsaw University.